I am writing this article on my own personal experience. I always wanted to define what is quality and what my customers perceived as quality service. 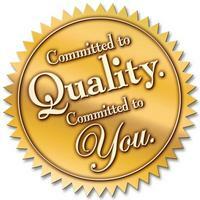 Quality is a term associated not just with the product but also the service. The way you sell a product and how much faith a customer can bestow on you for after sales service. If you think i have sold my product and my work is done, then you are wrong. You may sell only to a single person but you will not get repeat sales from the same customer, nor his friend circle. Advertisements to impress the Audience – Fake or Real ? I was little amused to read that the Axe effect advertisement was facing a legal problem when a person filed a suit for not getting the effect shown on the television. Its great at least some one raised his voice against the misleading advertisement. These commercials promises a lot but the actual product causes no such effect. I just cannot understand why these branded companies are lying with the customers and playing with their emotions. Is it just for selling their product or service ? Or to show their superiority when compared to other brands.